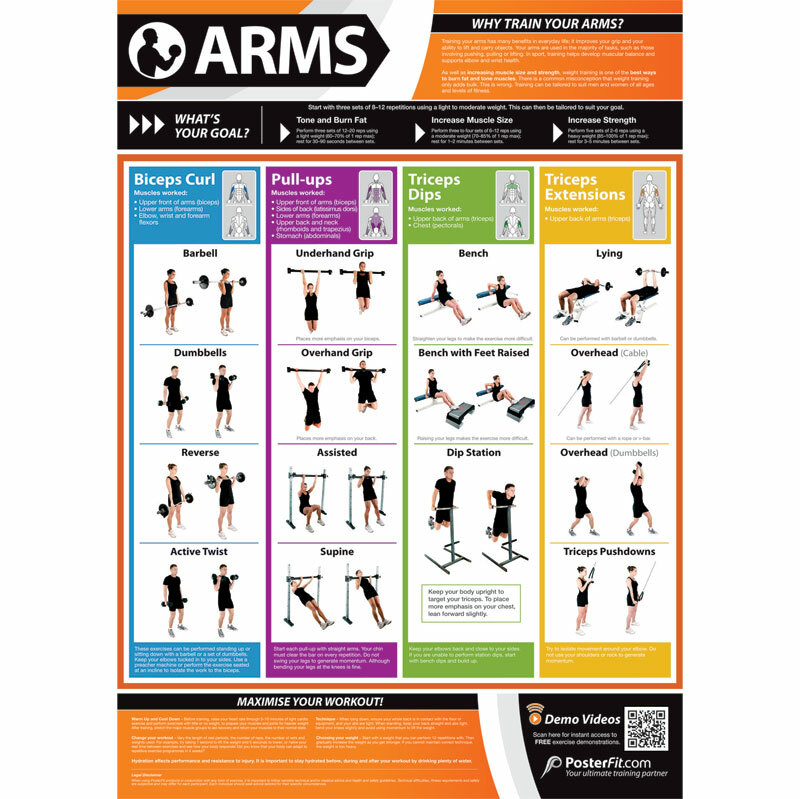 The PosterFit Arms Exercise Poster is a fantastic reference point for gym users of all abilities, providing an extensive range of arm exercises, training tips and advice. The chart identifies the everyday benefits of training your arms and highlights how weight training can be used with great effect for different goals; from muscle-gain to fat-loss. Exercises included: Biceps Curl, Pull-ups, Triceps Dips, Triceps Extensions.